WHAT YOU CAN EXPECT FROM US: 1. Premium quality with competitive prices. 3. Any sizes according to requirements. 4 . Any critical Design Logo or combination is possible. 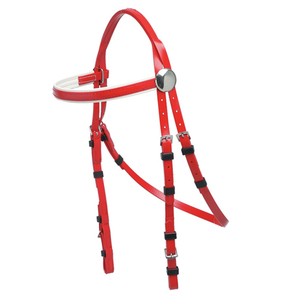 DRUM DYED INDIAN LEATHER ( DD LEATHER ) &middot; COW SOFTY LEATHER PADDED AT NOSEBAND & BROWBAND &middot; BRASS . FITTING &middot; AVAILABLE IN DIFFERENT COLOR AND SIZES. Or after price confirmation, you can require for samples to check our quality, but sample cost need to paid by you . And the sample cost can be refundable if your bulk order quantity reach our request. Send us high resolution images, we can design the layout you want. We make use of finest quality leather, threads and other raw materials in the manufacturing process therefore, the end product we offer are bound to be of extremely high quality standards . Manufacturing Unit - Our Advantages 10 years experience We Have very big experience in manufacturing in leather industry . Buyer Quality Assurance We have won International Quality Crown Award in 2012 Measurment quality assurance Quality Measurment quality assurance with all orders . Message us the custom order of 12 halters Fancy Stitch Halters Lot of 12 Choose your own size and colors from the given options. 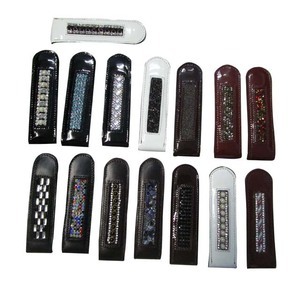 MATCHING PADDING AVAILABLE Size - Full / Cob / Pony Color - Black /Brown/ Havana / Chestnut Padding - Black / Brown Detailed Images Packing & Delivery FedEx or DHL Items are well packed with Solid Brass Hardware tags and size stickers. 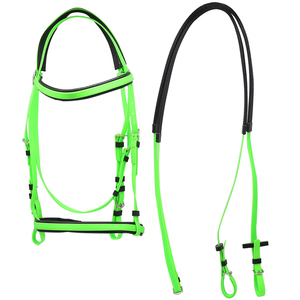 Halters transit delivery time is 9 days. Xiamen Jude Belt Co., Ltd. 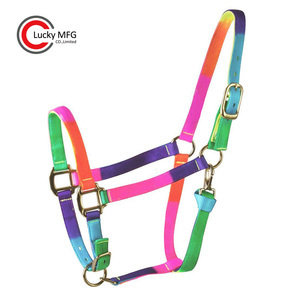 Horse Grazing Muzzle With Halter Product Pictures Customer's special designs and logos are acceptable, welcome to offer us with your horse muzzle halter samples and patterns, and we can do base on your requests. 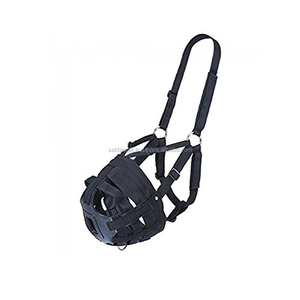 Product Description Item Name: Horse Grazing Muzzle With Halter Type: horse muzzle halter Material : PP,Nylon,Polyester,Eco-friendly Raw material Pattern : Any as your requirement ( we can customized) Size: Or any size. 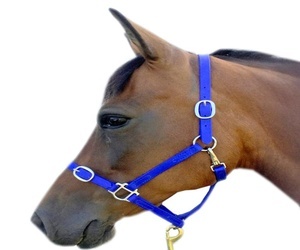 If you want to know more information of this horse muzzle halter and other products,please contact me .Thanks! 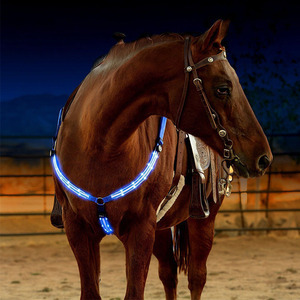 Alibaba.com offers 10,163 bridle horse sale products. About 61% of these are other horse products, 1% are other animal husbandry equipment. 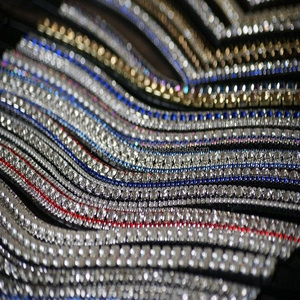 A wide variety of bridle horse sale options are available to you, such as polyester / nylon, zinc. You can also choose from coated, printed, and plating. As well as from webbing, buckles. And whether bridle horse sale is free samples, or paid samples. There are 9,814 bridle horse sale suppliers, mainly located in Asia. The top supplying countries are India, China (Mainland), and Pakistan, which supply 71%, 20%, and 6% of bridle horse sale respectively. 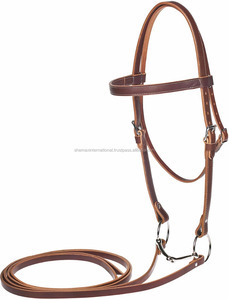 Bridle horse sale products are most popular in North America, Western Europe, and Northern Europe. You can ensure product safety by selecting from certified suppliers, including 1,070 with Other, 461 with ISO9001, and 39 with OHSAS18001 certification.